The 'Hard To Change' Legacy Of Medicare Payments : Shots - Health News One possible proposal in President Obama's budget would change the way Medicare patients pay for their care. It's been floated as a possible bipartisan compromise, but it's an idea with a long, controversial and unsuccessful history. President Obama's budget plan for fiscal year 2014 may include a proposal for Medicare patients to pay more of their own medical bills. 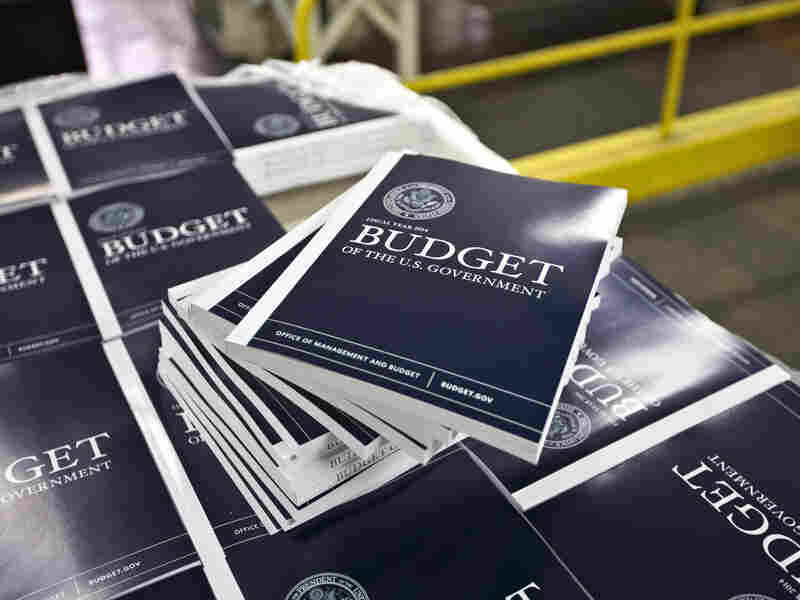 The budget President Obama will send to Congress Wednesday is expected to include some $400 billion in reductions to Medicare and other health programs. And if the word around Washington is correct, it may also include a proposal aimed at winning some bipartisan backing — by changing the way Medicare patients pay for their care. But there have been previous efforts to streamline Medicare's antiquated system of deductibles and copayments. And none, so far, has been successful. Tom Miller, a resident fellow at the conservative American Enterprise Institute, says having separate deductibles and coinsurance schemes for Medicare's parts A and B is an anachronism that dates back to the 1960s, when Medicare was created. "That's been a legacy which has been very hard to change," he says, "because it requires an act of Congress, which requires agreement ... which tends not to be the case." Currently, Medicare Part A, which covers hospital and skilled nursing home care, and Part B, which covers doctor and outpatient costs, have separate deductible and copayment schemes. This year the Part A hospital deductible is $1,184; the Part B outpatient deductible is $147. Miller is one of many economists who say it would make much more sense to have a single, merged deductible of around $500. That, however, would likely make many patients pay more. That's because most Medicare patients aren't hospitalized in a given year, but they do almost all go to the doctor. Under most of the proposals floating around, said Howard Bedlin, vice president for public policy and advocacy at the National Council on Aging, "about 30 million beneficiaries would end up paying more, and about 2 million would end up paying less." In exchange, however, says Miller, beneficiaries would likely get something they don't get now — "stop-loss" protection. That agreement for Medicare to cover all of a patient's medical costs after he or she reaches a specific threshold is something the program currently — and almost inexplicably — lacks. "That's the world in which you need insurance," Miller says. "But Medicare traditionally doesn't have that type of structure." Medicare actually did — briefly. Congress added so-called catastrophic coverage to Medicare in 1988. But it repealed it in 1989 after an outcry from seniors who were outraged at being asked to pay for it. Miller says the problem now, however, is that so many Medicare patients have supplemental coverage — either from a former employer or policies they buy themselves — that they're not sensitive enough to the cost of the care they consume. "They're not facing enough incentives at the point of purchase to consider whether or not that ... next visit to the doctor, that next test, might be worth the money if they were paying for some of it themselves, as opposed to taxpayers paying for most of it," he said. Even worse, said Miller, the supplemental insurance companies have no incentive to economize, either, because they're not footing most of the cost, either — Medicare is. That's why some of the proposals being floated would no longer let private supplemental insurance cover those deductibles and coinsurance — and would require patients to pay at least some of the costs themselves. But people like Bedlin say that logic is flawed. Those tests economists talk about being overused? "Those are things that are ordered by the doctors," he says. "It's not the beneficiaries who are choosing to take those." And he says studies have long shown that while making patients pay more does reduce unnecessary care, it reduces necessary care as well. "And what's the implication going to be?" he said. "People delaying care they need, ending up in the emergency room, and ultimately costing the system more." The bottom line, however, Bedlin says, is that most Medicare beneficiaries just don't have a lot of extra money to spare. "Half of Medicare beneficiaries have incomes below $22,500. Very few of those get any help with cost-sharing — I'd say only about 3 million out of that 25 million." Even those who do have higher incomes already spend more of it on health care — Medicare households spend about 15 percent of their income on health care, according to the Kaiser Family Foundation, compared with about 5 percent for households without a Medicare patient. That only proves, yet again, that everything in health care is more complicated than it appears.